Power is an alien feeling to the weak. Yet at this juncture, I imagine it’s not an entirely alien feeling to you, because you’re cultivating your strength. Generally, we are weak or strong in the context of relationships. This is a fact so obvious that it’s extremely easy to miss. Relationships either strengthen or weaken us. They affirm or deny our true essence; they affirm or deny our selflove. 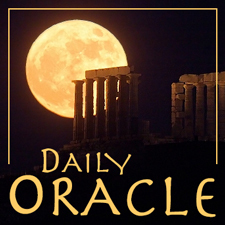 Today’s Oracle takes us to the Taurus monthly for December 1, 2002. Power is an alien feeling to the weak. Yet at this juncture, I imagine it’s not an entirely alien feeling to you, because you’re cultivating your strength. Generally, we are weak or strong in the context of relationships. This is a fact so obvious that it’s extremely easy to miss. Relationships either strengthen or weaken us. They affirm or deny our true essence; they affirm or deny our selflove. This year concludes with a profound experience of defining yourself in the context of other people, and learning how to hold that shape, sense or guiding feeling in your awareness. You may feel dismayed at the extent to which you must define yourself within the context of others, yet that’s far more important than living in the context of others and not doing so. I would be very surprised to hear, two years down the road, that the events of the past 12 months, and more accurately, the past two, did not provide you with something rare, precious and utterly necessary that you’ll treasure forever.